Last week, Republicans in Georgia’s House of Representatives voted to give Delta Airlines a tax break worth nearly $40 million. In advocating for that measure, the GOP argued that all Georgians stood to benefit from such a policy: Delta is one of the state’s largest employers; other states offer airlines a tax exemption on their jet-fuel expenses; thus, if Georgia failed to provide the same benefit, the airline could take many of its flights — and jobs — elsewhere. Progressives, meanwhile, argued that Delta didn’t needed any corporate welfare. The company was already posting record-breaking profits before Trump slashed their federal tax burden last December. There was no public interest in giving the airline $40 million — conservatives were just trying to reward the corporation for funding their side in America’s culture war. On Monday, Georgia lieutenant governor Casey Cagle all but admitted that the progressives were right. 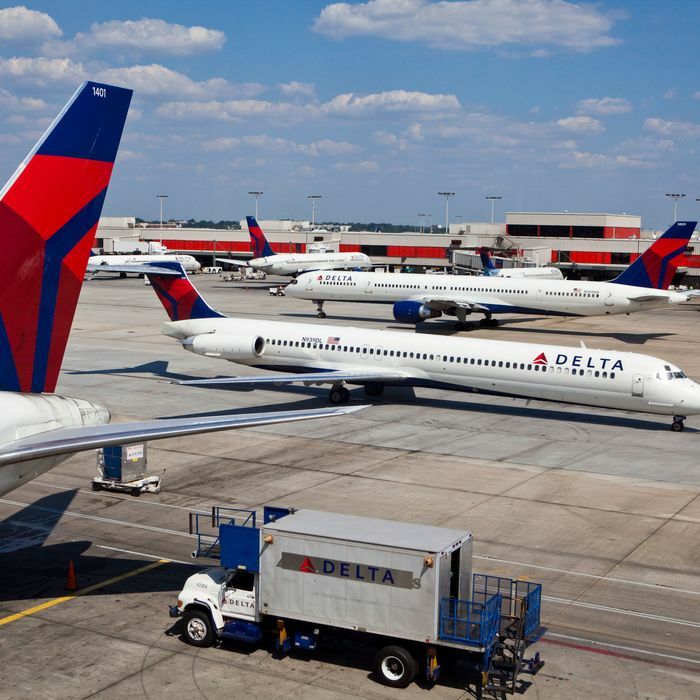 Last week, after liberals organized a boycott of the NRA in response to the Parkland shooting, Delta announced that it was severing ties with the gun-rights group: From now on, NRA members would no longer receive discounts on Delta flights. Several conservative groups and high-profile GOP candidates for higher office called on Republican legislators to ground the tax break after the airline said Saturday it would end a discount for NRA members. … Former state Sen. Rick Jeffares, a candidate for lieutenant governor, voted to support Delta tax breaks during his stint in the Georgia Senate. But hours after Delta cut ties with the NRA, he took to the phones urging his GOP colleagues to reject it. Within hours, several other Republican candidates for high-profile seats also publicly opposed the measure. On Monday, lieutenant governor Casey Cagle joined them. I will kill any tax legislation that benefits @Delta unless the company changes its position and fully reinstates its relationship with @NRA. Corporations cannot attack conservatives and expect us not to fight back. I don’t think any single tweet has ever validated this many progressive critiques of the conservative movement at once. Liberals claim that the right isn’t actually opposed to the government “picking winners and losers,” they just want it pick the right ones; Cagle’s tweet stipulates that Georgia’s economic policies should punish businesses that “attack” conservatives. Liberals claim that conservative voters don’t actually have any attachment to the GOP’s economic orthodoxy and are invested solely in its culture war conflicts; the leading GOP gubernatorial candidate presents corporate tax cuts as a privilege businesses earn for supporting gun rights, not as a core part of the conservative agenda. Liberals claim that despite how much they like to complain about “grievance culture,” conservatives are as quick to play the “victim card” as any constituency in American politics; Cagle claims that denying special discounts to gun-loving conservatives qualifies as an “attack” on them. Still, in my view, the most telling aspect of the lieutenant governor’s post is the way it affirms the charge that corporate tax cuts aren’t an economic policy, so much as a form of legal bribery: If Casey Cagle believes that the primary beneficiary of the jet-fuel tax cut isn’t Delta — but rather, the people of Georgia — why would he inflict harm on his own constituents just because he’s offended by the airline’s public-relations strategy? And if he doesn’t believe the people of Georgia stand to benefit from giving Delta a $40 million tax cut, then why did he ever support that giveaway in the first place?